Animation of crinoline is all about adding a creative touch of colour and texture to your headwear, under the direction of your tutor Lina Stein from Ireland. 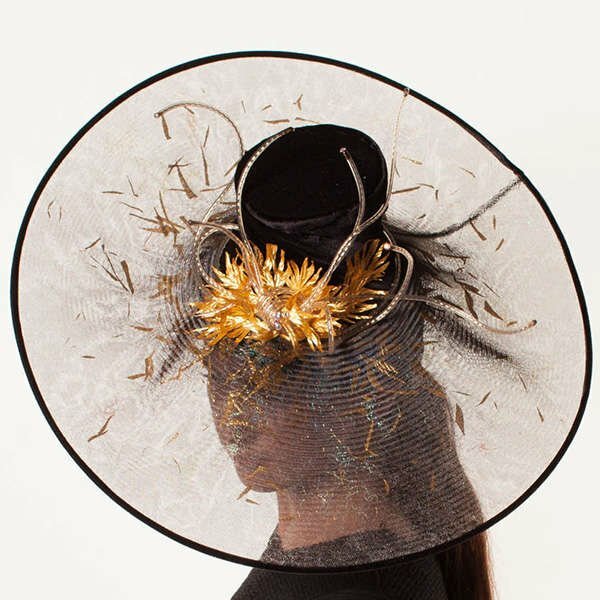 The couture finish of hand stitched binding together with the glimmering and translucent display, presents a captivating millinery creation. Originally from Australia, Milliner Lina Stein has been based in Westport, Ireland for many years. 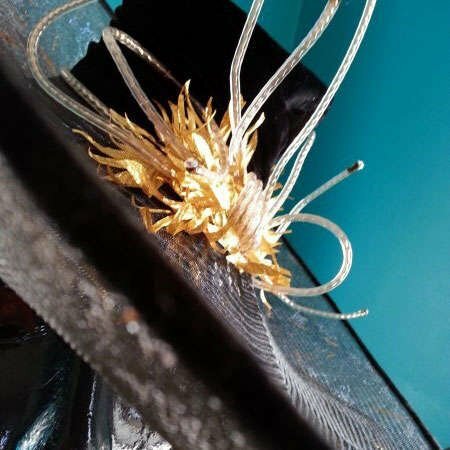 For more than two decades she has been creating amazing hats and is recognized as a leading light in the international world of Millinery. Through the flamboyant and extravagant creations, her presence signals an explosive dynamic that is diverse and exposes her to new experiences, people and places. Lina outlines techniques that will enable you to add texture and colour to a basic crinoline brim. Preparation involves making a pattern to help stabilise the crinoline into the desired brim shape, and how to work with the textile to complete the shaping. Learn the tricks to secure the brim with spring wire together with a fine bias bind to give your hat a couture finish. Attach to a crown and choose your preferred embellishment, then venture into several options with pleating, split and curl or a bridal styling. Lesson support includes online contact with tutor Lina Stein to ask lesson specific questions and feedback.